You have found it! Possibly the greatest location for rock climbing and bouldering in California, America and maybe even the world! From careful beginners to crags that challenge the pros, the climbing opportunities are diverse and many. Start at the Happy and Sad Boulders, head to Buttermilk Country or Alabama Hills, we’ve got you covered. This is just a brief introduction to the opportunities for rock climbing in the area. 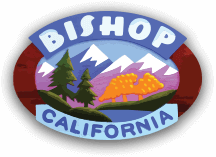 Click here to read a blog about bouldering in the Bishop Area! Happy and Sad boulders reached by going north on Highway 6 from bishop and turning west on Five Bridges Road. Follow 5 Bridges road for approx. 1 mile and Sad Boulder is on your left. Happy Boulder is basically the same area, from 5 Bridges Road, follow Chalk Bluff Road for about 1.5 miles and the climbing area is on the North side of the Road. >> Check out more information on what makes it great! Buttermilk Country is found about 13 miles west of Bishop. Take Highway 168 (West Line Street) for 12 miles and take the Buttermilk Road into Buttermilk Country. There you will find a wide range of challenges for everyone that is looking for great challenges. For more info on Buttermilk Country, click here!